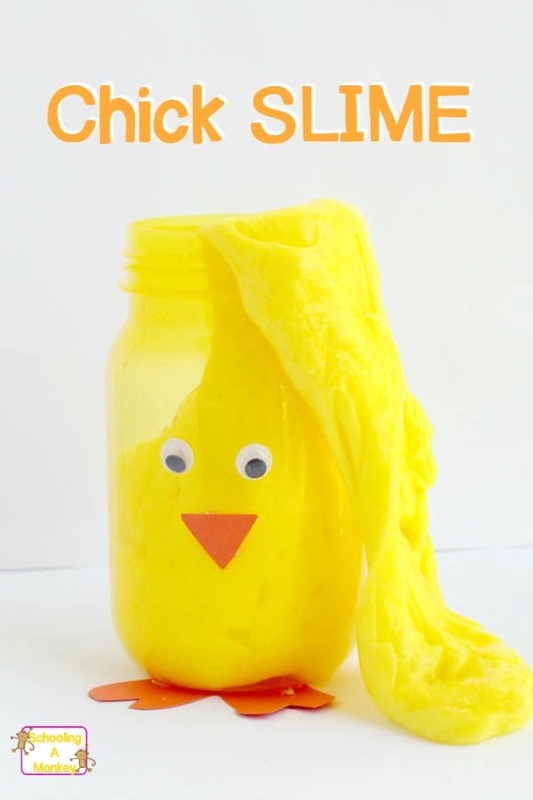 FANTASTIC EASTER SLIME RECIPES PERFECT FOR SPRING! 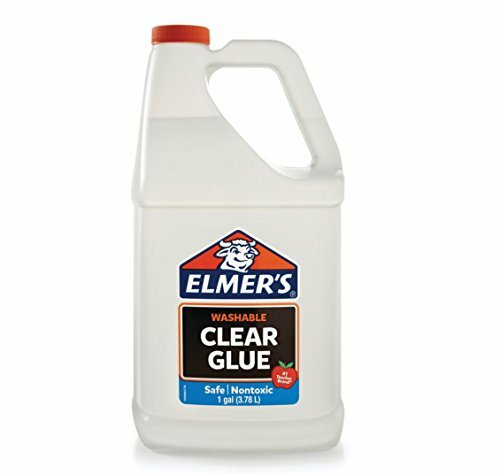 If you can’t tell already, we’re HUGE slime lovers here. 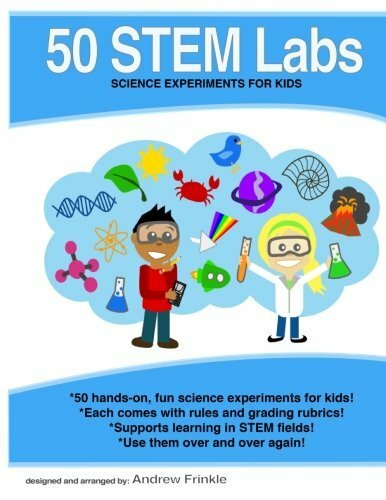 We’ve tried over 100 slime recipes. 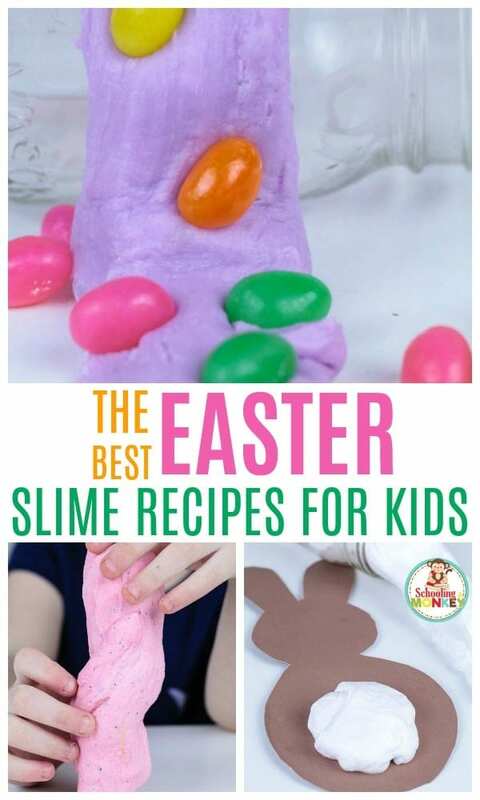 Today, I’m bringing you a list of the very best and most creative Easter slime recipes available online today! 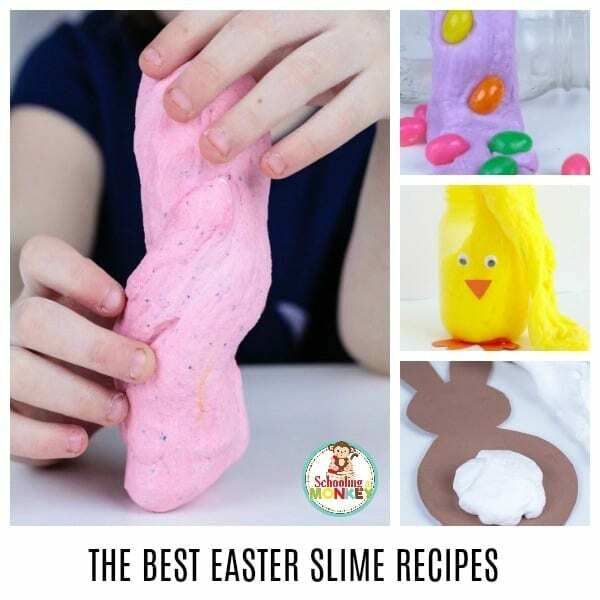 When it comes to slime, we’ve tried it all, and you’ll find tons of fun slime recipe variations in this list of Easter slimes. 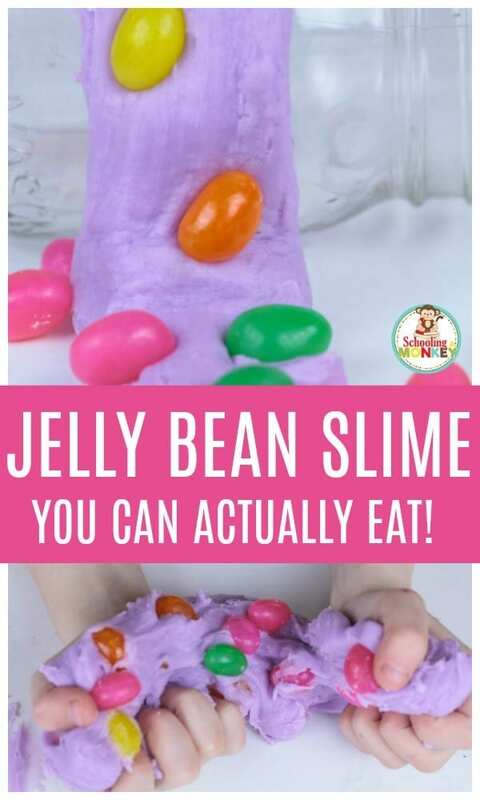 You’ll find edible Easter slime, borax-free Easter slime, traditional Easter slime, Easter floam slime, and a whole lot more! 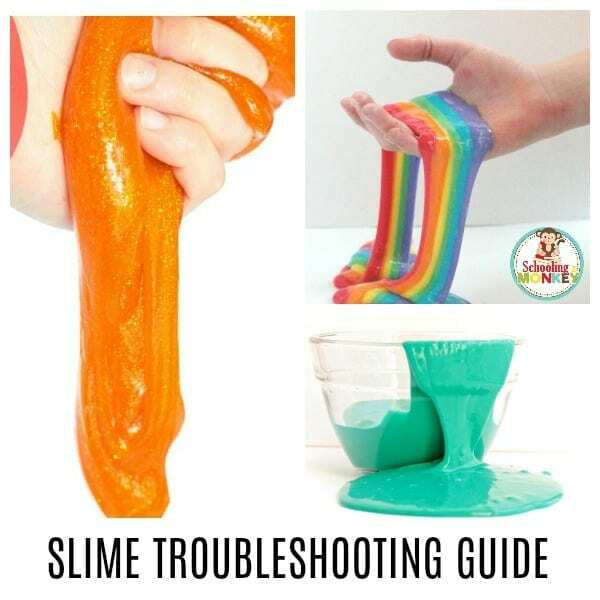 If you can’t get enough of these slime recipes, you may also like to try our classic borax slime, baking soda slime, and classic laundry starch slime. 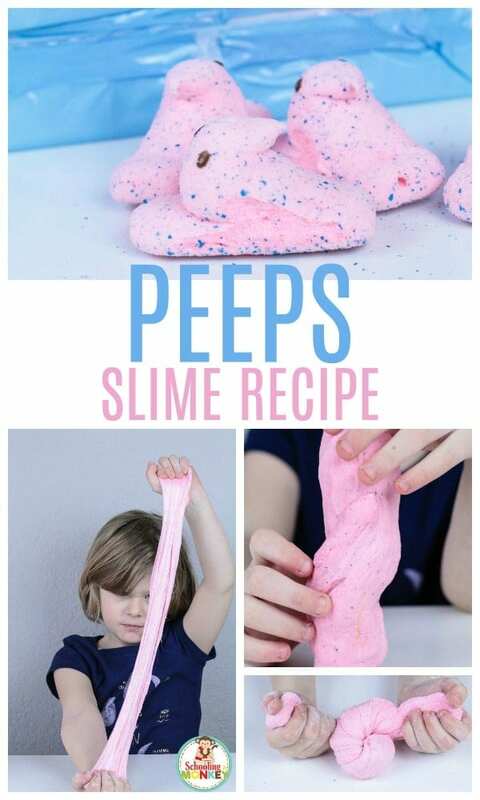 Aside from our own slime recipes for Easter, you’ll find tons of fun Easter slime recipes from other bloggers. 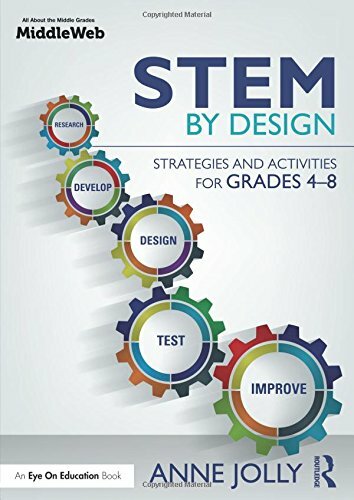 I just love how creative these recipes are! 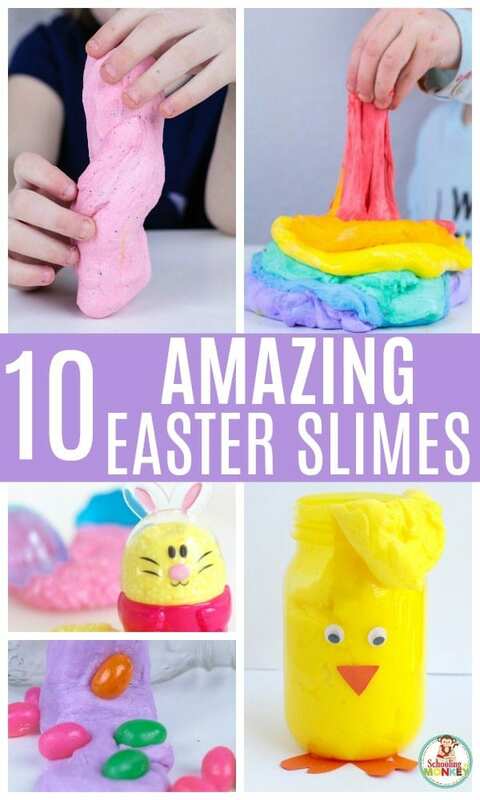 Your class or kids at home will have such a blast making these, and the best part is that many of these slime recipes are edible and super delicious! 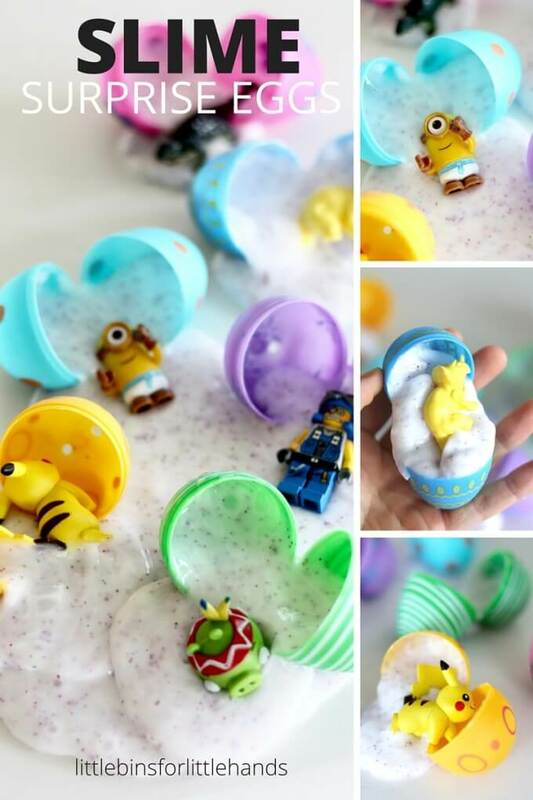 WHAT IS EASTER SLIME ALL ABOUT? 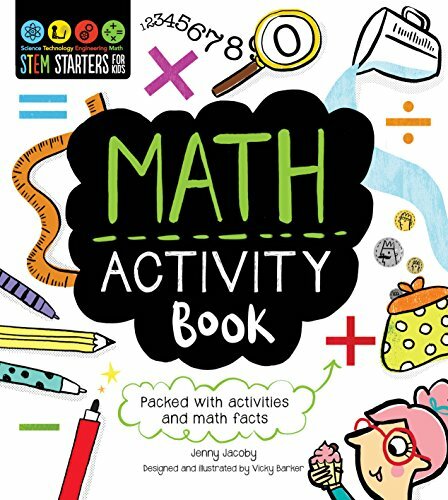 Valentine slime recipes are about more than just having fun with stretchy, slimy slime. 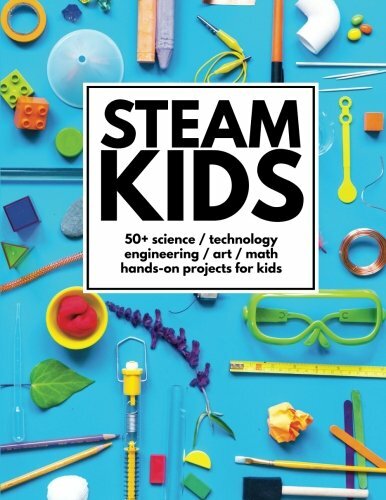 Slime is a wonderful way to help children foster a love of science and chemistry. 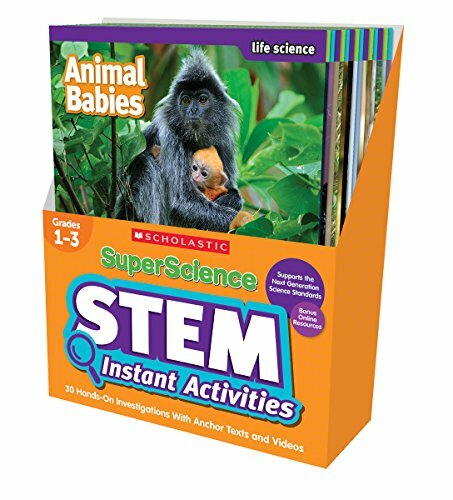 Slime is formed when a chemical reaction between materials in the glue and the boron in the laundry starch or borax. 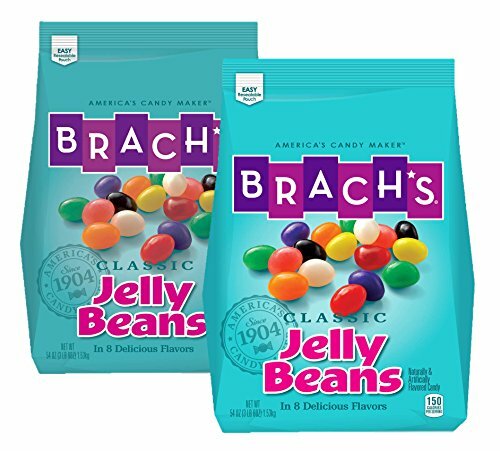 This reaction alters the chemical bond of the materials, combining them into long polymer chains. 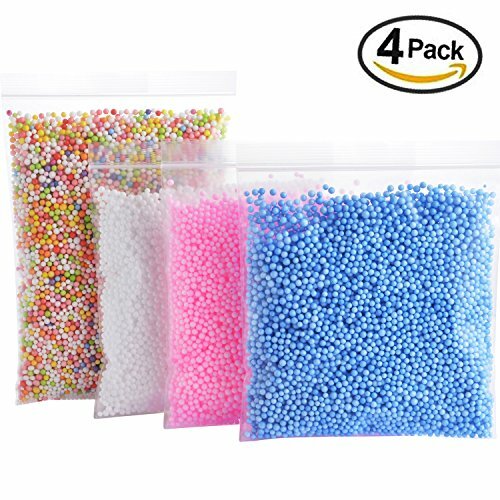 This process is similar to how most flexible plastics are made today. 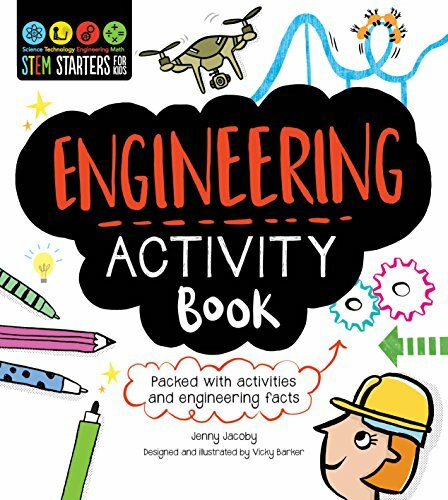 We make an Easter version of slime because it’s a fun way to combine science and sensory experiences with the Easter holiday. 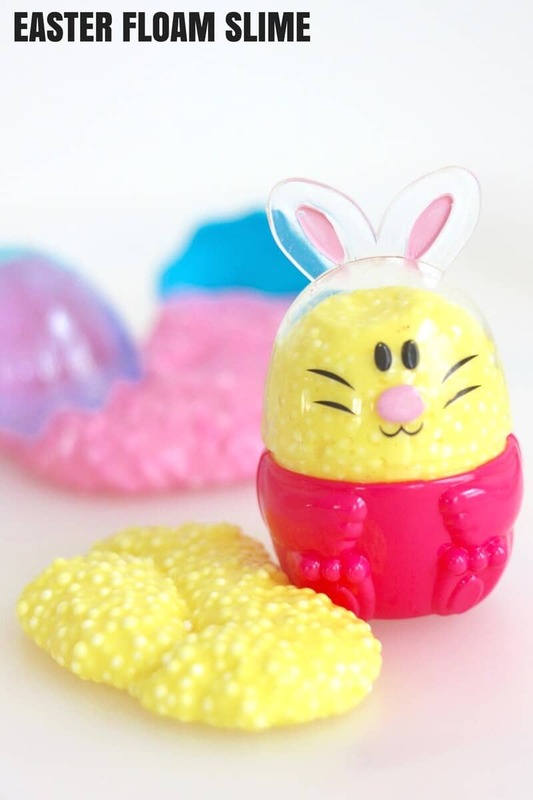 Try our edible Easter slimes for fun Easter-themed edible science! 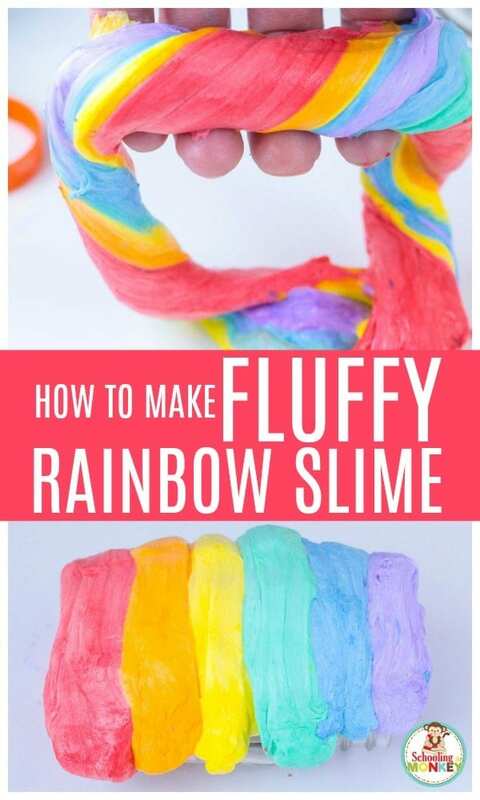 CLICK HERE FOR FLUFFY RAINBOW SLIME! 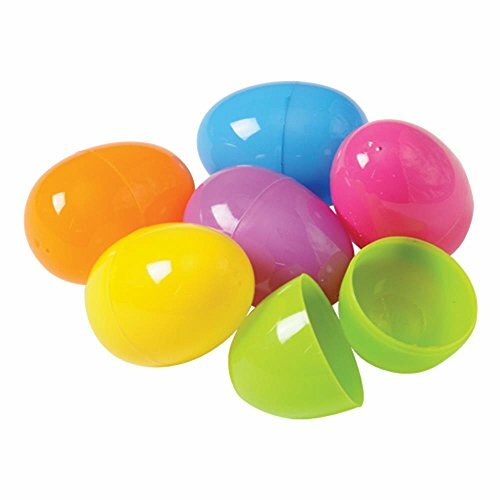 If you can’t get enough of this Easter slime, try our rainbow slime and glitter rainbow slime! 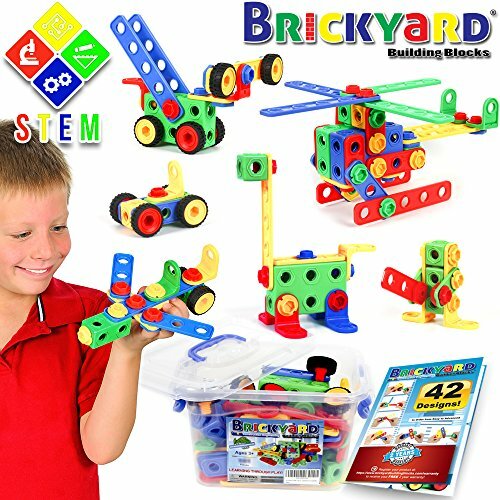 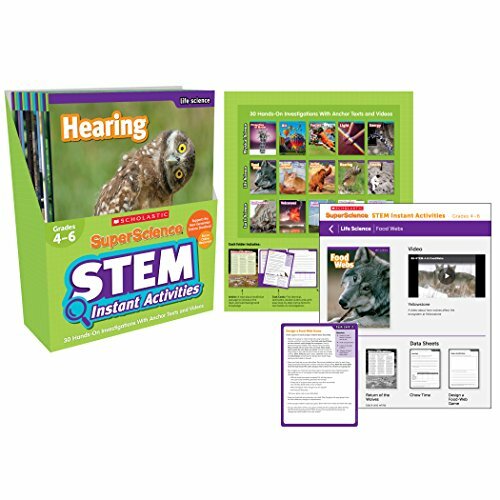 MAKE SURE TO CHECK OUT: THE COMPLETE LIST OF EASTER STEM ACTIVITIES! 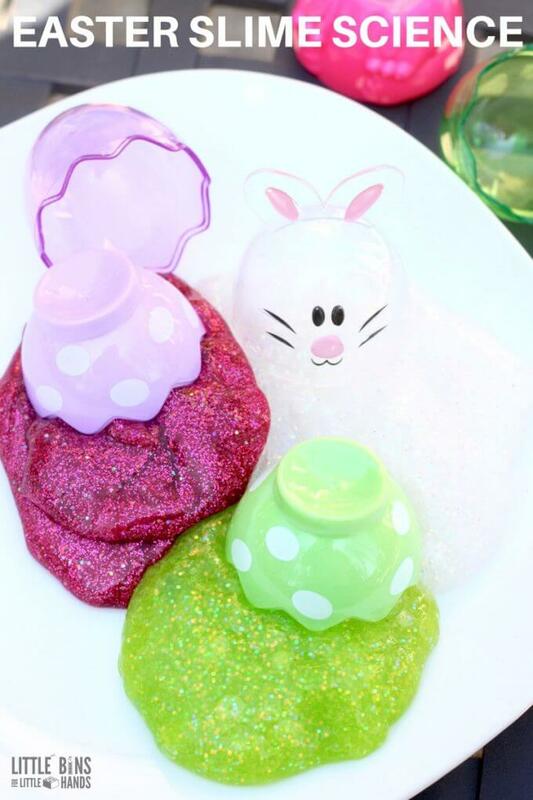 Read on to learn how to make your very own spectacular and foolproof Easter slime recipes! 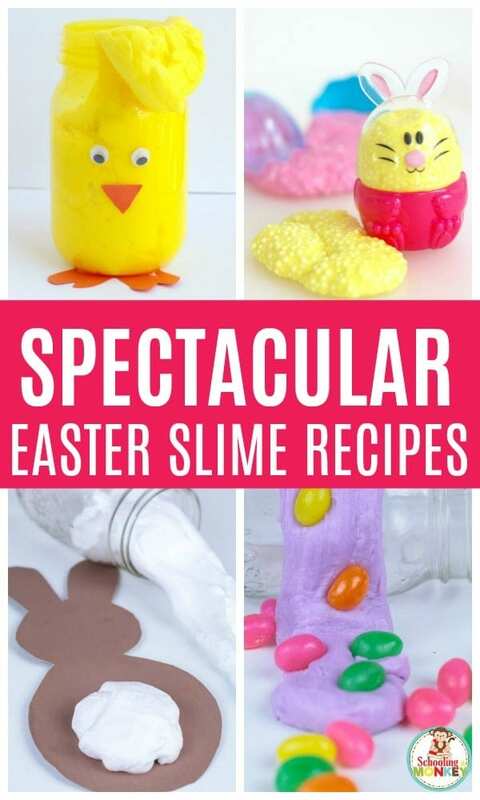 These slime recipes for Easter will make every day feel like a holiday in your home or classroom! 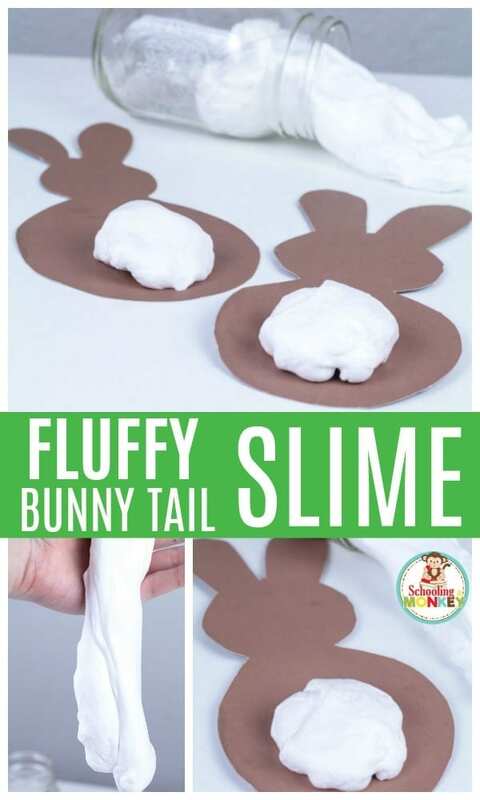 TAKE YOUR EASTER SLIME ACTIVITIES FURTHER!